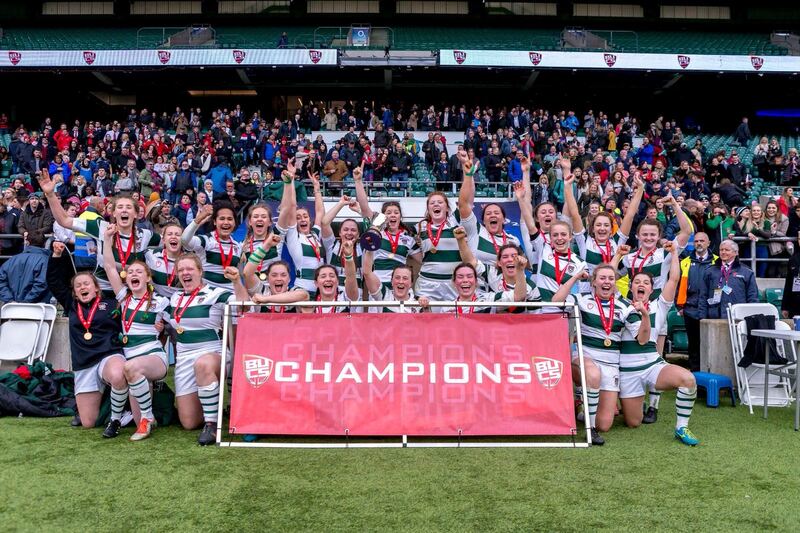 Exeter University Women’s Rugby 1st Team are BUCS Championship Winners 2018!! It really has been an incredibly exciting year to work with this superbly talented group of ladies. From a tough 52-point defeat in their opening match of the season, to lifting the cup at Twickenham Stadium yesterday against the same formidable team – Hartpury College – they have worked relentlessly demonstrating commendable professionalism, passion, and team dynamics. The coaching and support team behind the girls are worthy of equal recognition where without collaborative multi-disciplinary team working the girls’ development would surely not have been so explicit. As the physiotherapist responsible for the team over the past two and a half seasons, I have become hugely invested in their achievements. Women’s University rugby, it seems, brings interesting challenges which differ from sports which I have previously worked within. With International senior and age group players, and Premiership players on the Exeter first team squad, comes the challenge of managing athletes who are competing at the highest level of their sport possible several times per week, whilst undertaking full-time degrees. Mental and physical fatigue places the girls at high risk of developing injuries. Add the collision element of rugby and you may have just fuelled that fire further. So, to head to the British Universities Championship Final yesterday with a team of 23 fit players was already an incredible feat. The finals are played at Twickenham every year. To play in the national stadium may be a once-in-a-lifetime opportunity for many athletes. To run onto the pitch as the Physiotherapist supporting a team playing in a national stadium felt equally as momentous. We arrived at Twickenham on Tuesday for a tour and familiarisation of the stadium, changing rooms and formalities for the following day. This was time for taking in the enormity of the occasion in advance of game day to ensure there were no surprises on the big day. Stepping out onto the stadium my brain began to race with questions and anxieties. What if I made a mistake running on to one of the girls in front of a big crowd and TV cameras? What would happen if one of the girls sustained a significant injury and I was then out of action if a second player went down on the pitch? That was right before I was introduced to the medical staff on duty in the stadium the following day. Touring the mini on-site A+E was a little reassuring arm around my shoulder. If anything, I had more back-up than I have ever experienced covering a sporting fixture. Game-day arrived and the girls hair-plaiting, nail-painting, and breakfast rituals with it. There seemed to be a collective focus amongst the squad. If they had nerves, they were certainly containing them well. One of the main goals for the coaching and support team was to change nothing. The same pre-match strapping and treatment regimens, the same warm-up and the same team meetings would create a sense of normality in an exceptional situation. The girls warmed up impeccably. They looked the fittest they have this season. My confidence in their abilities to fend off injuries was high. The first whistle blew, my heart-rate elevated. At 80 minutes, the score was 32 all and my heart remained in my mouth. This was the first time in BUCS history that extra time had been played in the championship final. Playing an extra 20 minutes, in a physically demanding match as this, increases the risk of injuries on the field. I felt extra vigilant. The girls remained patient and defended with their everything. A foul from Hartpury allowed us a penalty kick resulting in a 3-point lead. They just had to stick it out. As the crowd started to count down the seconds, the fear of jinxing the result grew. The final play, we turned the ball over, and kicked into touch. It was all over. A whole year of hard work and determination had paid off. All the nights arranging appointments for the girls who needed treatment to enable them to play in the next match. All the reassuring of worried girls. All the chasing up referrals to other medical professionals. And all the team discussions about how to manage the squad best for the next match without key players. It all became 100% worth it. I wouldn’t change the season for anything.